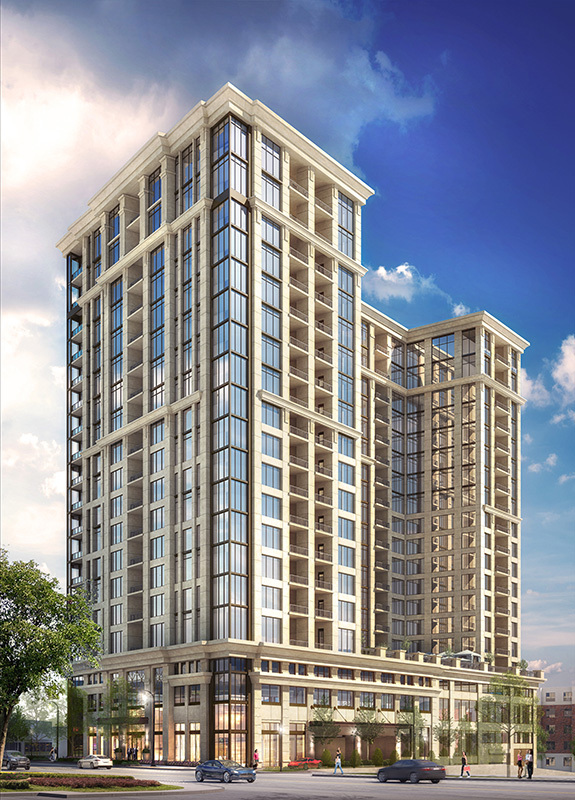 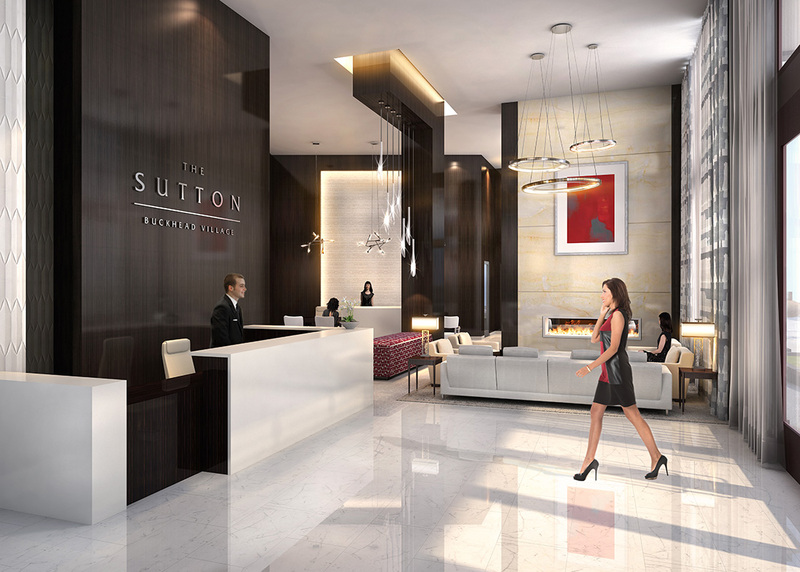 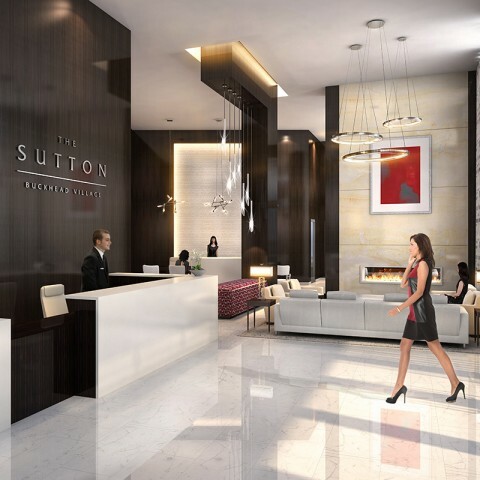 2965 Peachtree Residential Tower "The Sutton"
2965 Peachtree Residential Tower "The Sutton" is a proposed 510,700 square foot multifamily high rise located on Peachtree Road within walking distance to the Shops of Buckhead. 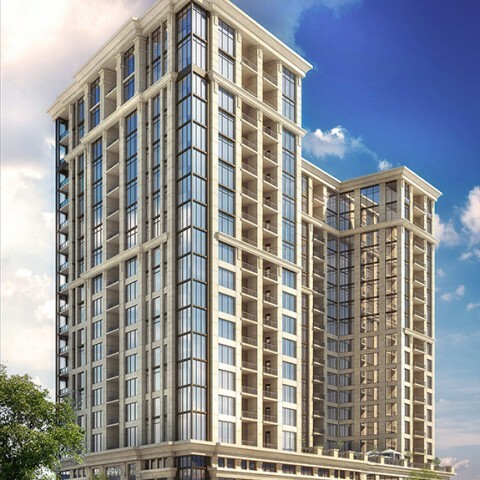 The twenty-one story building will have 141 luxury, two and three bedroom residences ranging from 1,600 sf – 2,000 square feet. 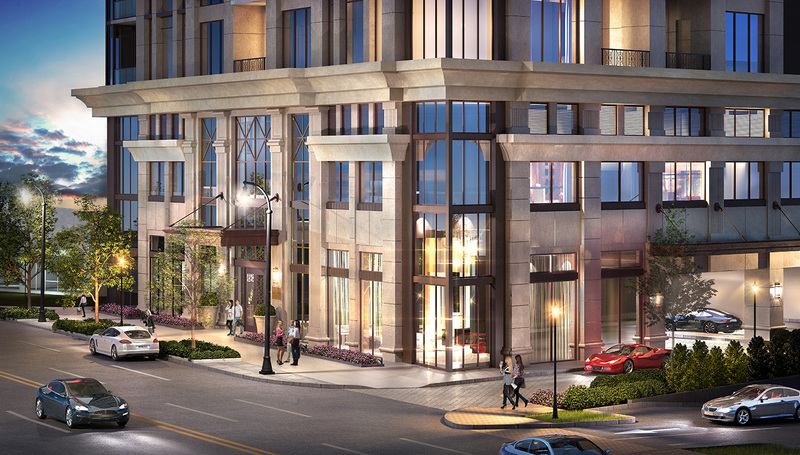 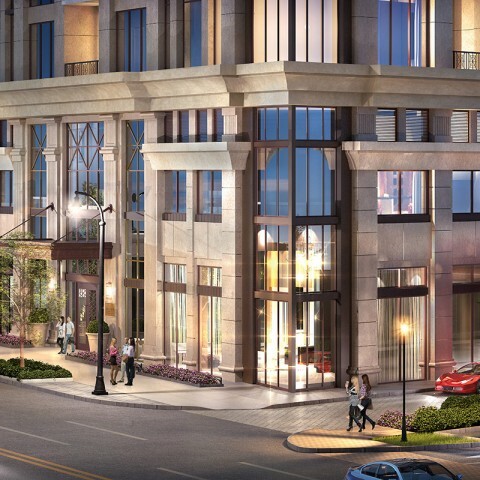 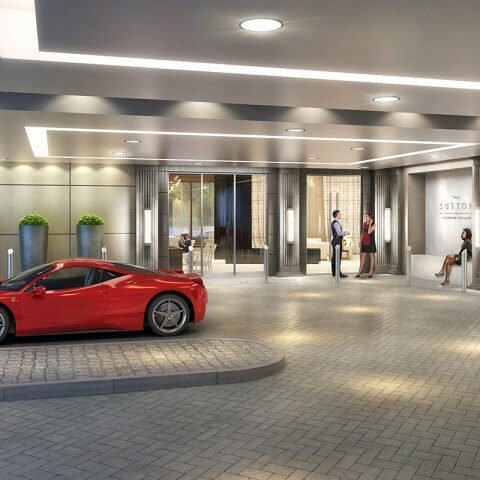 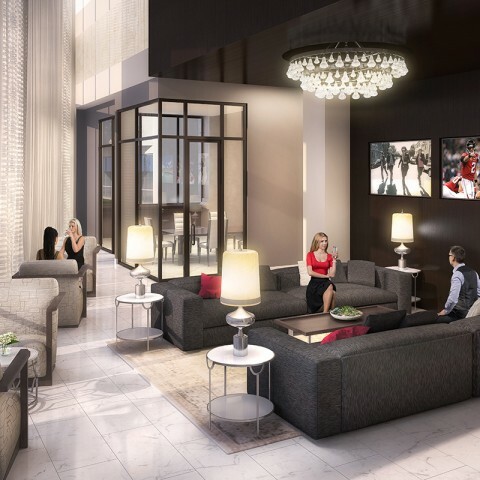 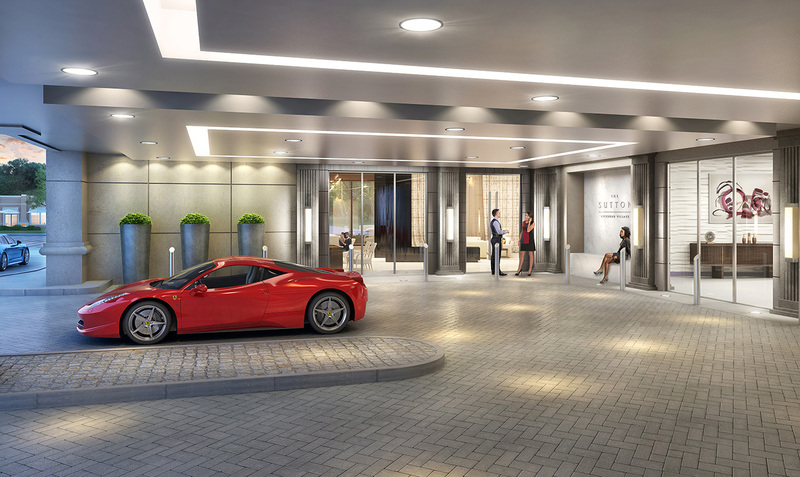 Street level amenities include a resident coffee bar, business center, concierge, and private motor court. 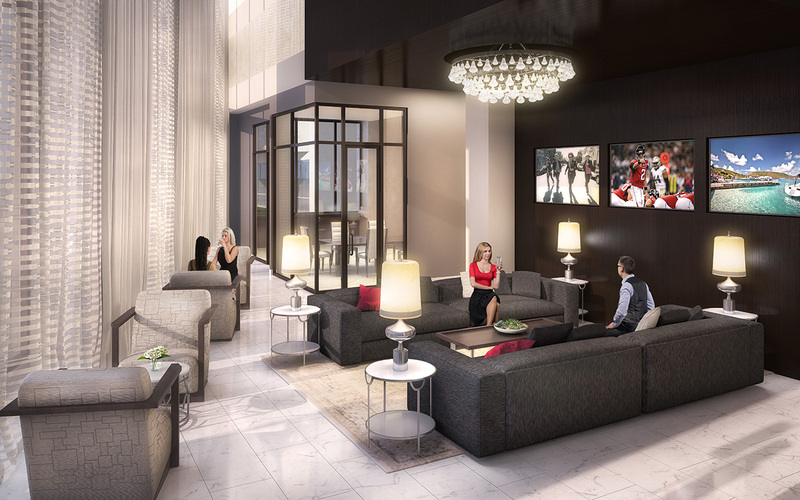 Fitness center, club room, and guest suite overlooking the elevated amenity terrace with direct views of midtown and downtown Atlanta. 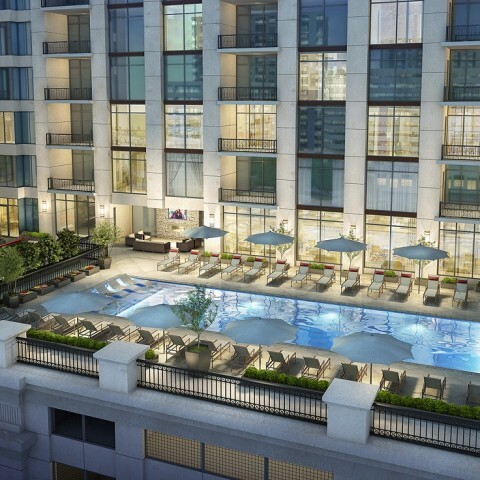 Amenity level includes lush landscaping, a pool with sun shelf, and an outdoor kitchen.